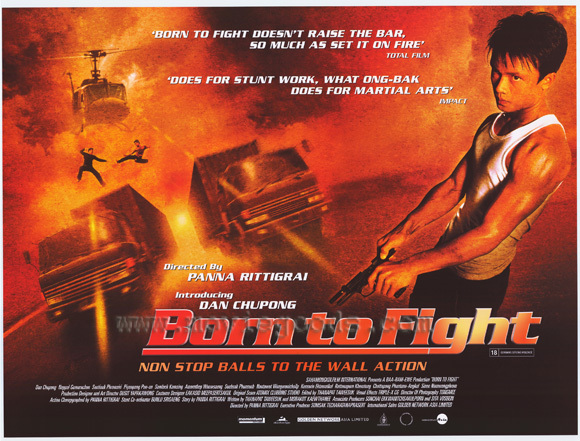 Action cinema from Thailand had a big boost a few years ago with the introduction of Tony Jaa and his team of action choreographers and in 2004 the same film company released Born To Fight starring Dan Chupong and directed by Panna Rittigrai. The movie is a remake in name only of one of Panna’s first films, a very low budget action movie that he made in 1986. One of the film’s tagline is ” You will see one of the most dangerous stunts ever committed to film” and when you see it you will know what they mean. The plot was pretty basic. A group of athletes helping a poor village must stop an evil tyrant and his men from terrorizing the village and setting off a nuclear blast. Die Hard in a Thai village to sum it up. But what makes it special is the amazing fight scenes and stuntwork. 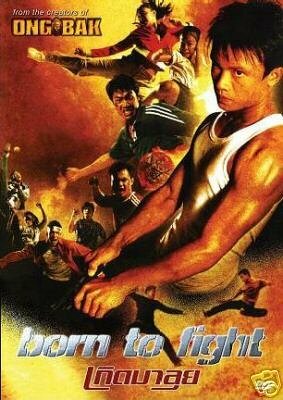 People are thrown from moving trucks, smash motorbikes through blazing lorries and that is without the great hand to hand combat scenes as a bunch of martial artists and athletes take on the terrorists at there own game. It’s not great film-making but if its an action fix you want without the overuse of CGI, then this movie delivers in spades. The star Dan Chupong has not been seen in many films released in the West since but did have a small fighting role in Ong Bak 3 in which he nearly stole the show. The film has been released on DVD in various English friendly versions. The UK release (Region 2) has a good anamorphic widescreen picture original language (DTS option) with subtitles, but few extras. 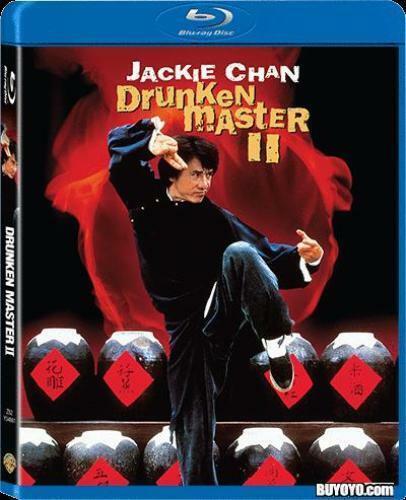 The best version is the 2 disc SE released by Dragon Dynasty in the USA (Region 1). It has a very good anamorphic picture, good subtitles (English and Spanish), English dubbed track if you like that sort of thing and a host of extras. These include a good audio commentary from Bey Logan, a 65-minute making-of featurette, action on the set feature and a trailer. Another great Thai action film that needs to be seen by every action fan.